Chennai, 19th Dec 2018: TAITRA (Taiwan External Trade Development Council) launched its new Taiwan Product Centre (TPC) in 113, 3 Floor, “Challam Tower N0 113, Dr Radha Krishnan Salai, CIT Colony, Mylapore, Chennai, Tamil Nadu 600004 India. 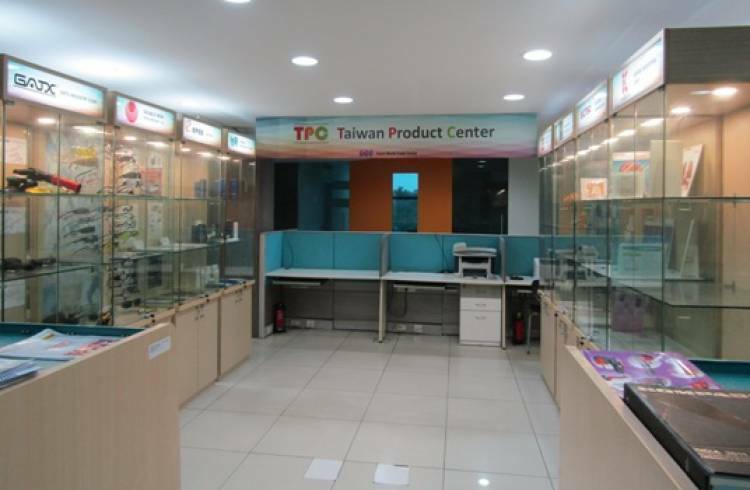 The product centre is an extension of the varied efforts that Taiwan is undertaking to increase its footprint in India. The centre displays a range of state-of-the-art products from reputed Taiwanese companies and provides a superb plat form for people to experience the best from varied fields. There are a host of products and brands in smart ICT, smart healthcare, Internet of Things (IoT) solutions and smart-life device industries. Several Taiwan-based companies are well known for the smart solutions they have created for various note worthy smart projects around the world. Taiwanese companies have been seeing great potential in expanding its trade association in the technology space in various sectors like for smart city, Pharma, agriculture, food, machineries, ICT etc. Taiwan is keen to share these skills and proficiency with countries like India that are now on the economic fore front with ambitious projects like the Smart Cities Mission. Taiwan has been contributing to various projects of the Indian government including Smart Cities mission, Make in India, Skills India and Digital India. While there has been a rise in bilateral trade between India and Taiwan in the recent past, TAITRA believes that trading with India has given a great impetus to both countries to build the smart nations.TPC is a strategic move and a step further for smooth exchange of business between the two countries. At the TPC Chennai, several renowned Taiwanese brands are showcasing their excellent products. Eyewear & accessories company Double Hero Tech Incorporated Co.have showcased Safety Goggles, Metal Sunglasses, Sporting Goggles, Plastic Sunglasses, Kids’ Sunglasses, Reading Glasses, Aluminium Sunglasses. etc. Dental company EPED In care putting up Real-Time Implant Navigation System, Augmented Reality Dental Education Solutions, Computerized Dental Simulator, Digital Dental Simulator, PSP Scanners, Digital Sensors, Digital Imaging Software and X-Ray Imaging System. Medical & Biotech company Gemmy Industrial Corporation have put up all types of Bench Top Centrifuges, Differential Counter, Constant-Temp Water Bath, Micro Haematocrit, Centrifuge, Microscopes, Vegetable Capsule, Vortex Mixer, Orbital &amp; 3d Shaker, Pipette Shaker, Hot Air Oven, Dry Bath Incubator, Lab Incubator, Portable Suction Units, Mobile Suction Units (Surgery), E.N.T. Treatment Units, etc. Industrial leaders Kind-Auspice will showcase Nuts, Rivets, Bolts, Screws, Drywall Screws, Chipboard Screws, Roofing Screws, Self-Drilling Screws, Screwdrivers, Tool Box, Bits, Holders, Cutting Tools, Tungsten Carbide Dies, Pins, Punches, Clips, Thread Rolling Dies, Nut Tap, Tooling for making screw and raw materials, tooling, machine (mainly point cutting machine), and raw material (steel wire, carbide rods, etc.) Leadrank Co Ltd have displayed Abrasive tools, all types of grinding and polishing wheels, diamond tools for grinding, cutting and polishing, diamond &amp; CBN types of bonded wheel & tools. etc. Last year, an India centre was launched in Taipei to promote awareness about India’s business ecosystem in Taiwan. TAITRA also opened its new office in New Delhi in May this year. It already has offices in Mumbai, Chennai and Kolkata.